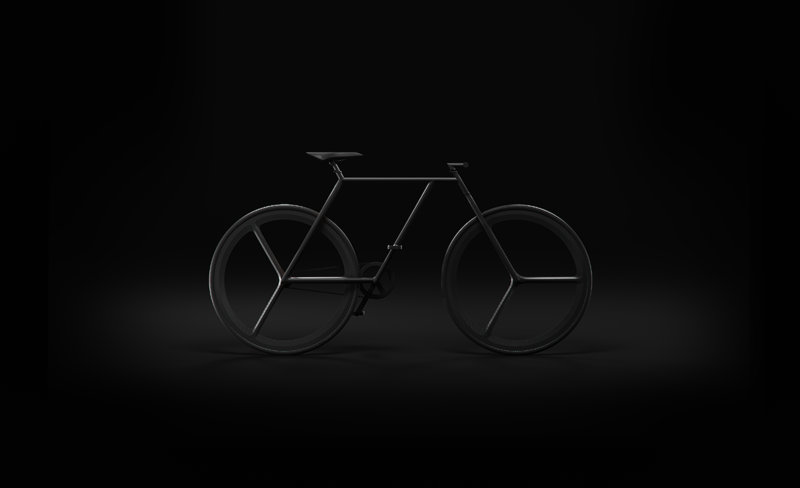 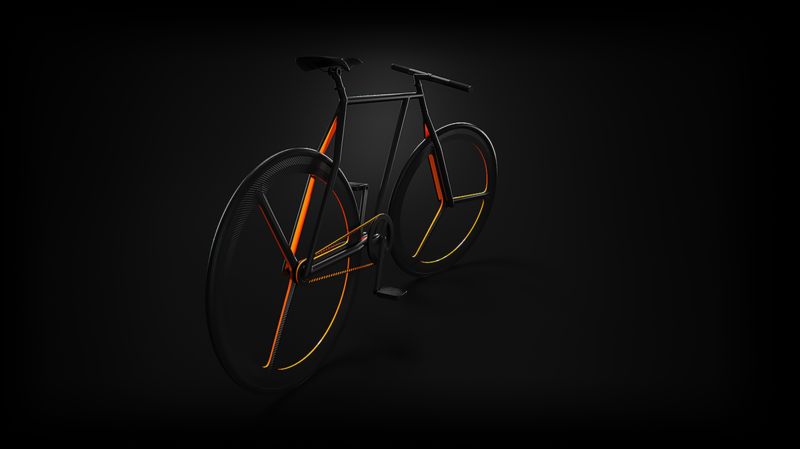 A minimal bicycle design by Ion Lucin. 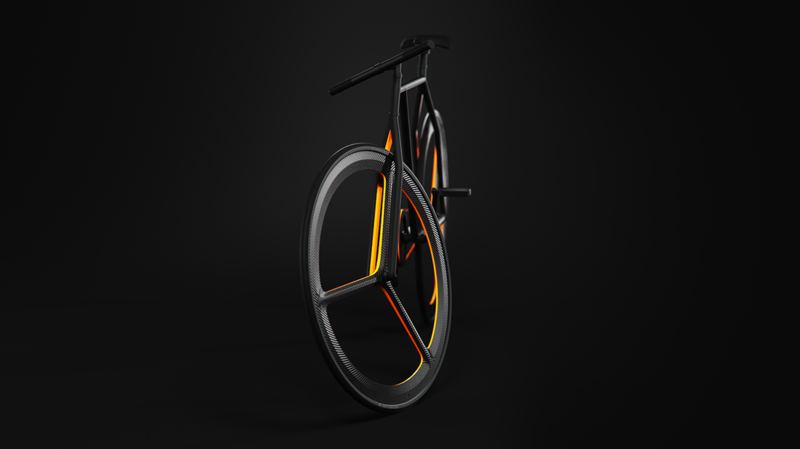 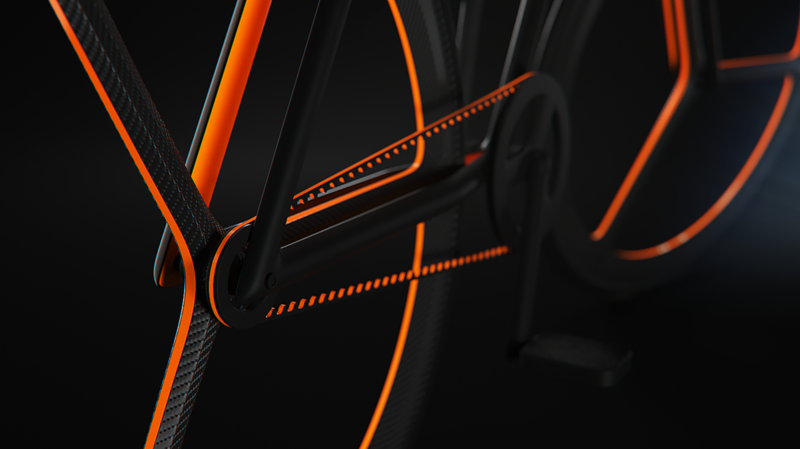 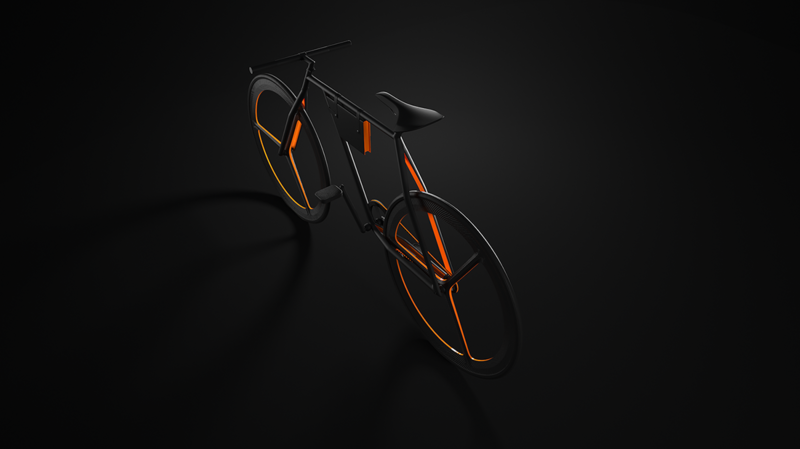 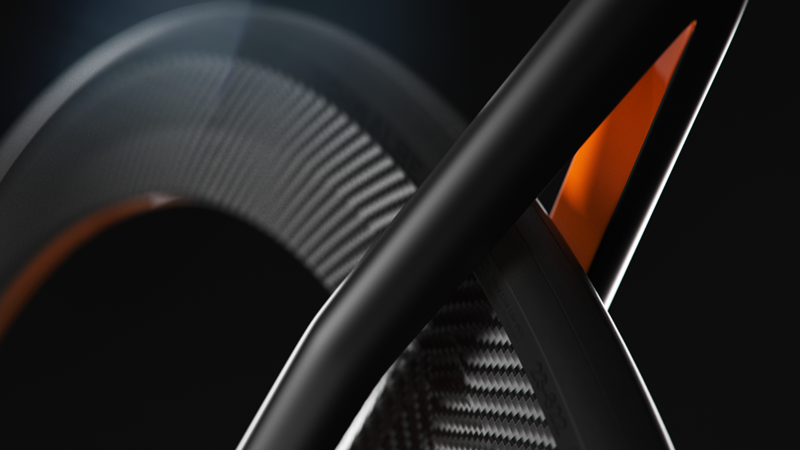 The idea was to create a bicycle design, with as little elements and lines as possible. 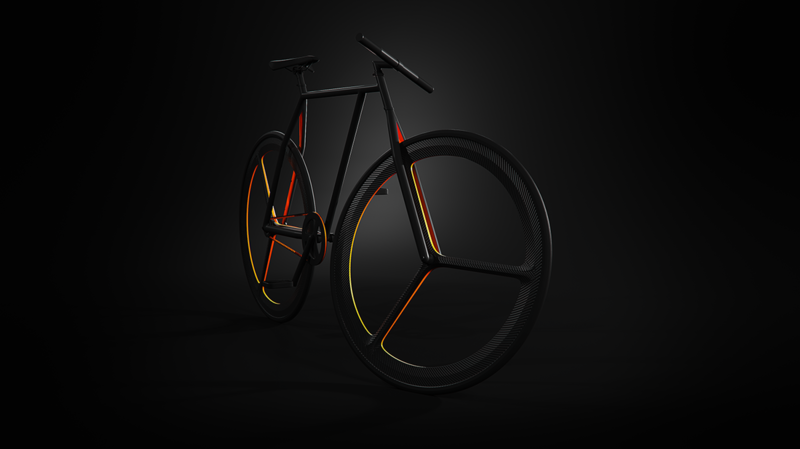 With the help of symmetrical lines and angles, it was possible to create a frame, which would blend with the rims of the bicycle, in the same angle, thus even further eliminating the lines that were present. 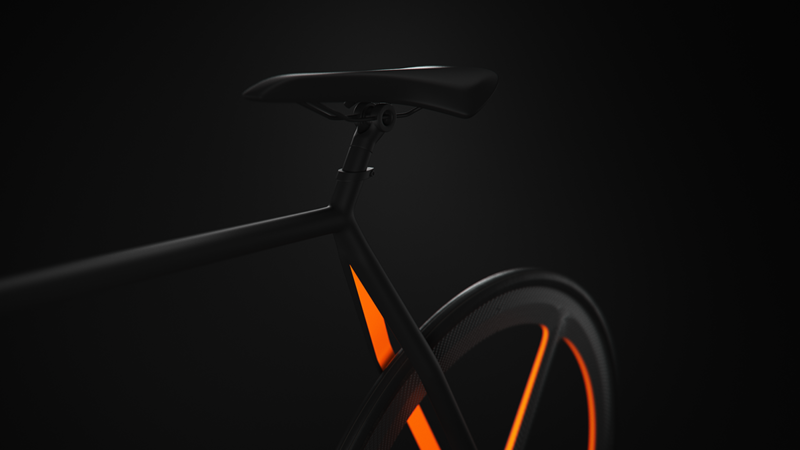 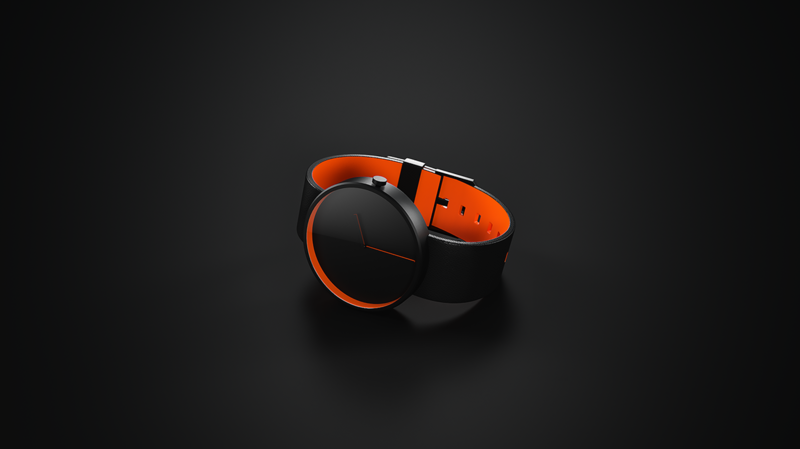 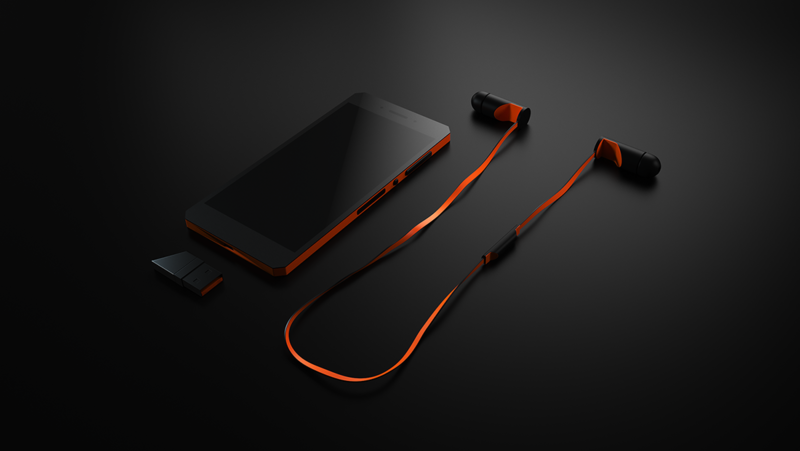 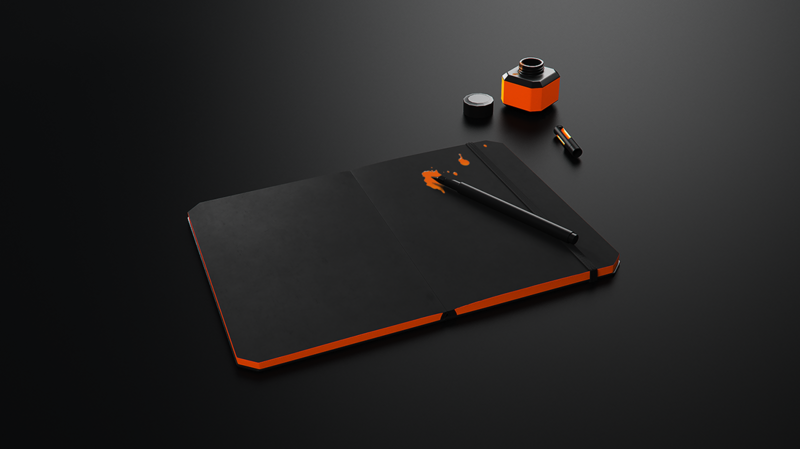 The minimal design goes even further, in the way the color is applied, to express more with less. 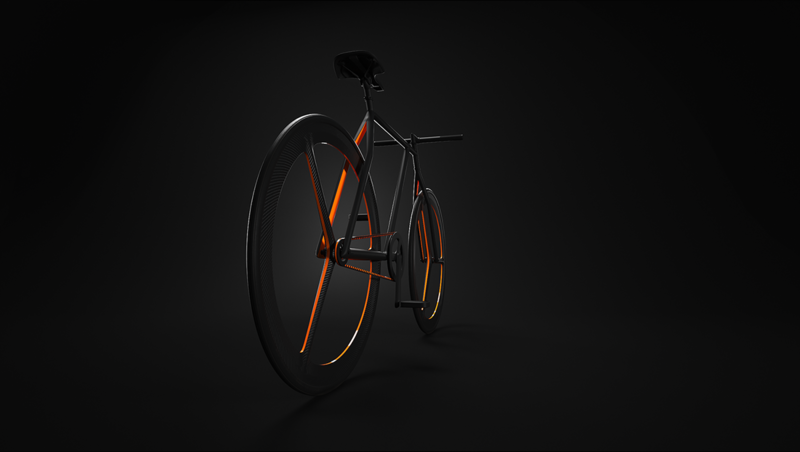 From a side view of the bicycle, you see that the bicycle is just mate black, and only from an angle view you can appreciate all the color that it has. 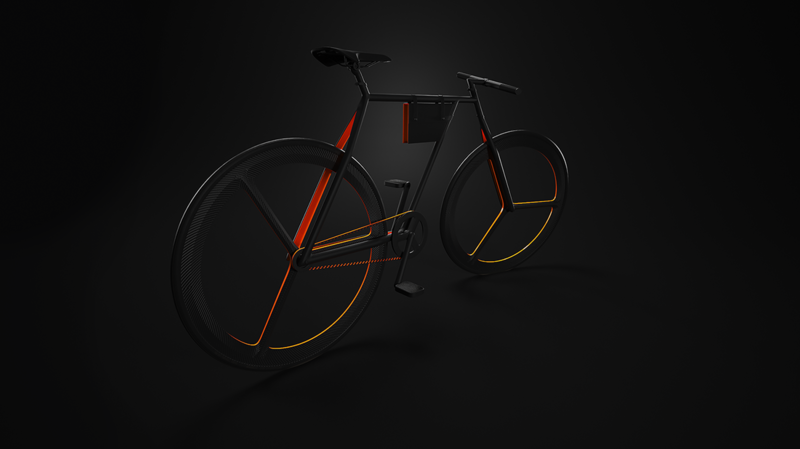 The bicycle also has a bike bag, which is a part of the product branding. 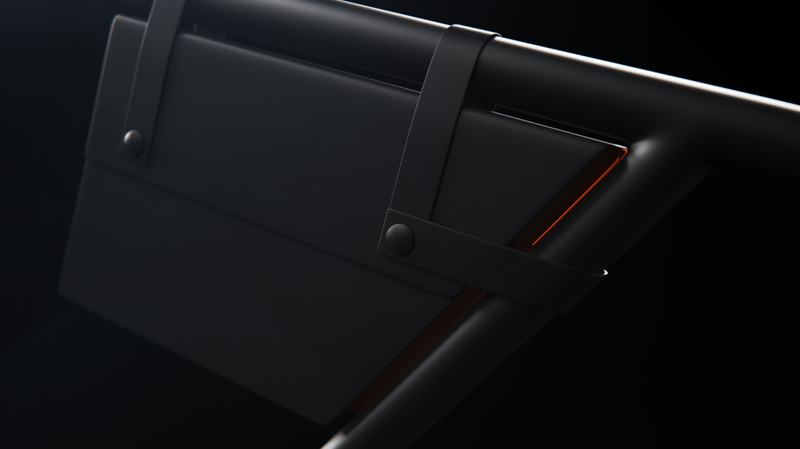 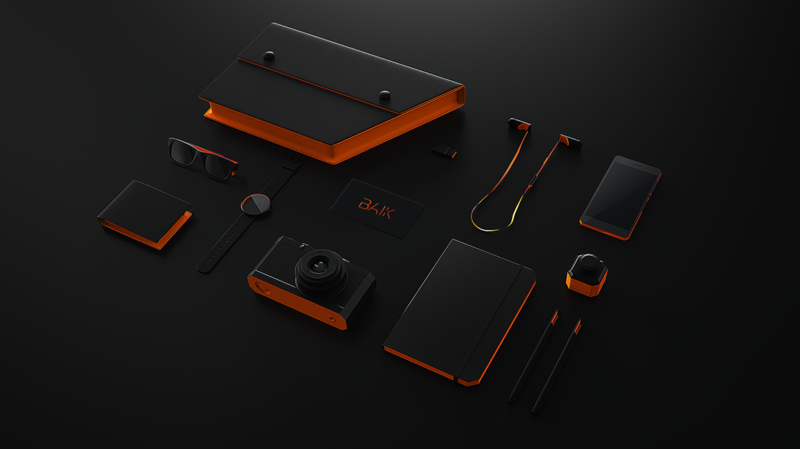 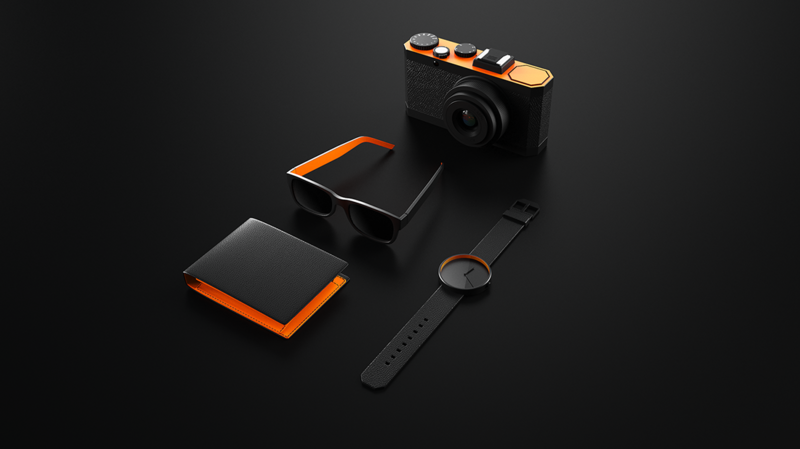 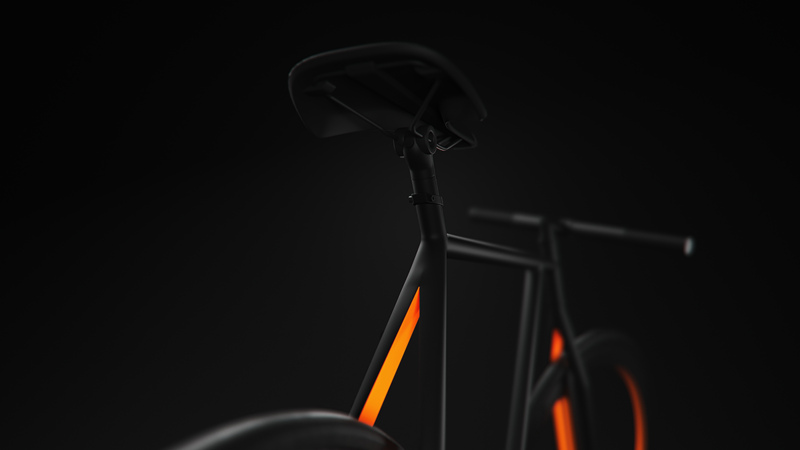 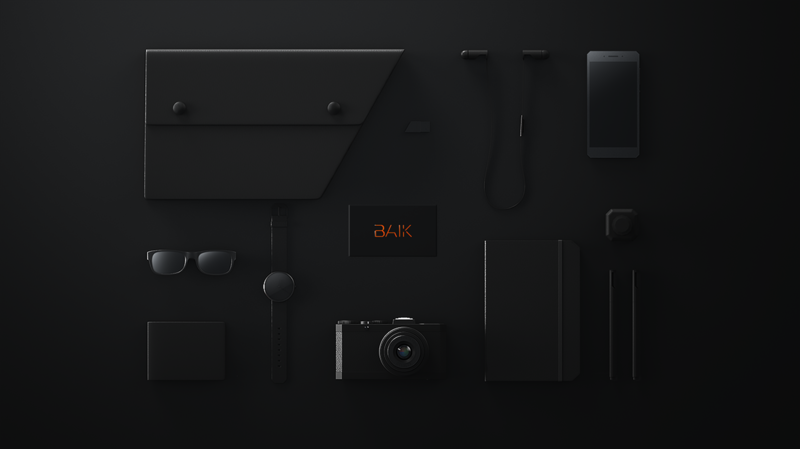 The branding follows the minimal idea, in form and color, and as with the bicycle, from a top view you can see it in complete black tone color only, and in color from an angle. 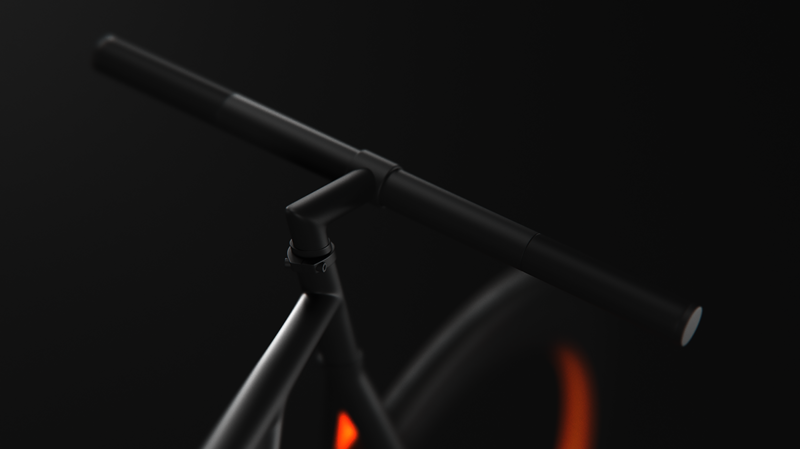 For the logo of the bicycle, and the branding, a custom typeface was created, following the project ideology. 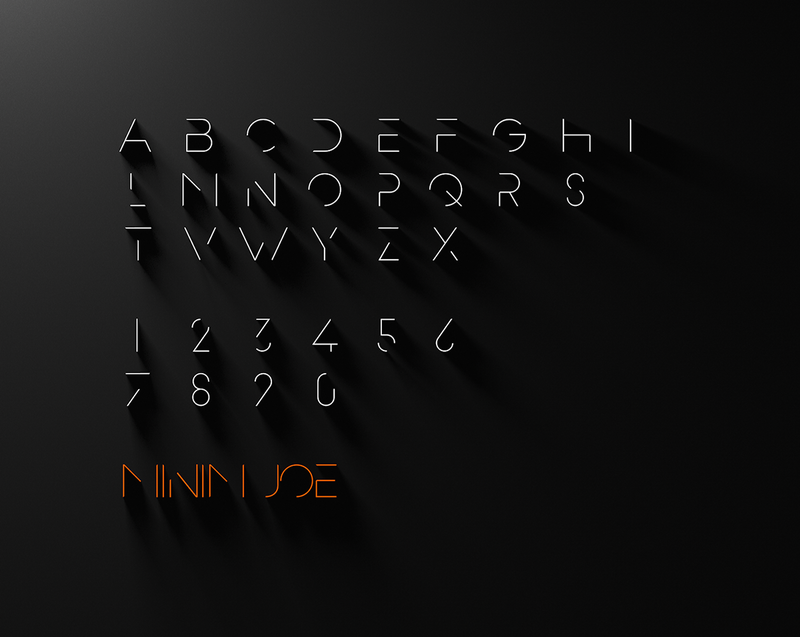 Minim Joe. 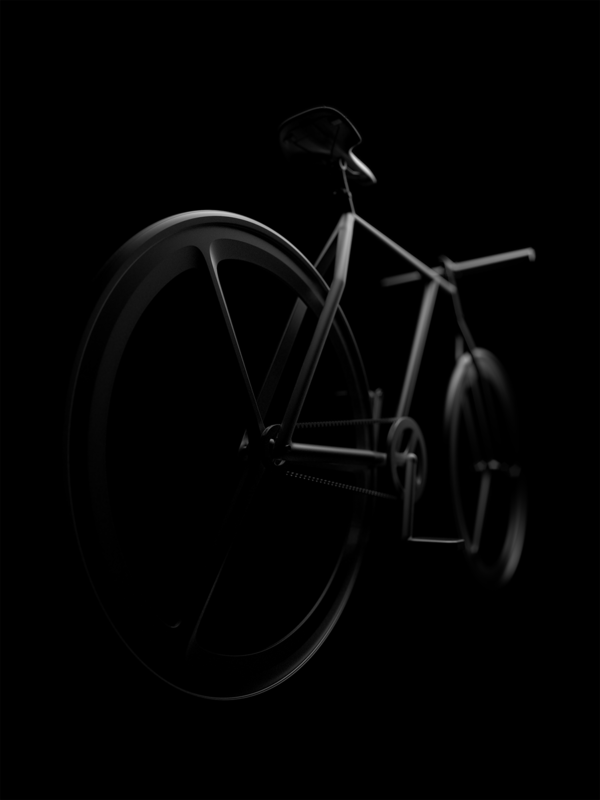 custom typeface, is FREE for personal use, commercial license is available.